We take pleasure in presenting our 2019-2020 ‘BEST AT SEA LUXURY AWARDS’ These ratings are based on evaluations from the most respected industry and consumer media sources, our own personal Churchill & Turen Ltd. ship evaluations, and written evaluation reports from our exclusive CSI Inspection Corps, each of whom have sailed multiple top-tier lines. The opinions or comments of unknown or uncertified web site visitors are not used in any of our evaluations. The opinions of self-appointed cruise “critics” with limited luxury travel experience or industry knowledge are never included. Our ratings are not reader-generated popularity polls. 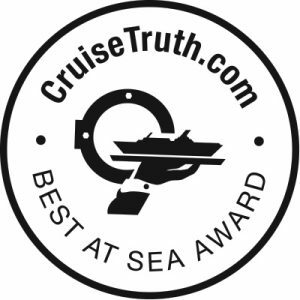 We believe that they represent the best synthesis of professional industry evaluations and reports from a carefully selected roster of discerning worldwide travelers with five-star cruise experience. 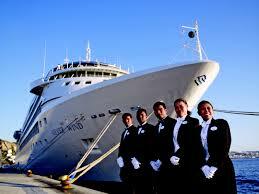 YEARS LATER, WHY IS REGENT STILL THE ONLY LUX LINE OFFERING INCLUDED BUSINESS CLASS AIR AND SHORE EXCURSIONS IN FARE? The content at CruiseTruth.com is protected by copyright. Unauthorized use of this material is prohibited.